Kansas City has notoriously harsh winters, and your gardens aren’t the only outdoor feature you need to worry about when temperatures drop below freezing. Rosehill Gardens offers sprinkler winterization and irrigation blow out services to prevent damage to commercial and residential irrigation systems! Learn more about sprinkler winterization by Rosehill Gardens by reading below or calling (816) 941-4777 today! Why Sprinkler Winterization for Your Kansas City Irrigation System? We’ve all felt the chill of Kansas City winters. When the cold comes, underground irrigation systems can freeze, causing pipes to crack and necessitating costly repairs. Without proper sprinkler winterization, including irrigation blow out, you might be facing high bills and headaches come spring. Keep your irrigation systems in working order with sprinkler winterization by Rosehill Gardens. We perform irrigation blow out and winterization services quickly and thoroughly to prepare your system for the coming cold! To schedule your sprinkler winterization today, call Rosehill Gardens of Kansas City at (816) 941-4777! 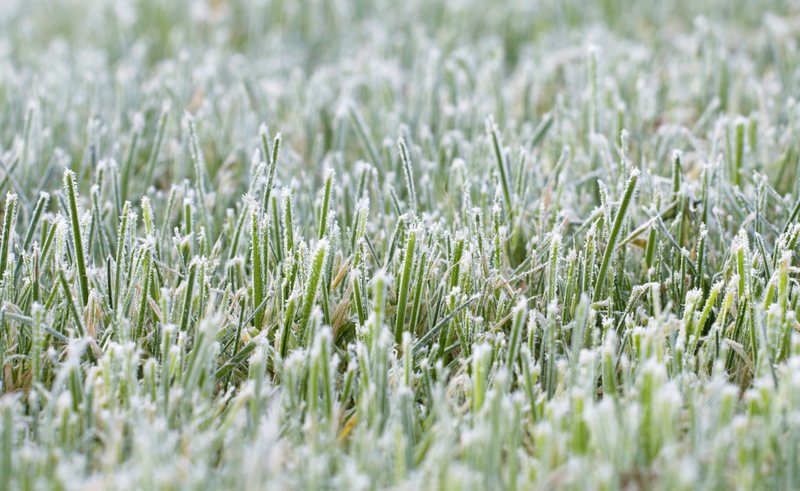 When should you winterize your irrigation system? We recommend that homeowners that reside in areas with freezing wintertime temperatures take the time to properly winterize their irrigation system around the middle of autumn. Rosehill begins scheduling our irrigation turnoffs during the month of September. We recommend customers call to schedule their irrigation turnoffs as early as the end of August. The earlier you call to get on our schedule the better chance you will have of getting the most optimal time for turning your system off. What kind of warranty do I get when Rosehill winterizes my irrigation system? Freeze damage is covered under warranty in the event of faulty winterizing, but only if Rosehill Gardens activates the system in the spring and confirms freeze damage. Irrigation systems have problems that arise from a variety of circumstances, even when not being used. We will stand behind our work meaning if we determine that an irrigation breakage is due to freeze damage and we winterized your system we will fix it free of charge. Only in the event that we are hired to turn the system on will we warranty your irrigation system. That is the only way we can determine what caused the damage. What can I do to protect my system from damage before it is turned off by Rosehill Gardens? Automatic irrigation systems have a controller or timer. Most controllers have a “rain” or “off” mode that shuts off the signals to the valves. Turning it “off” allows the controller to keep all the essential programming information stored in it. The only change is that the valves will not activate. If you unplug or cut the power to your controller, be aware that you may need to reprogram it in the spring. Nearly every system has a main water valve that when turned, will shut off the flow of water to the irrigation system. The main valve is often located outside, but may be inside the garage, depending on the system set up. Shutting off the main valve will prevent any flow of water and protect the system from freezing up. If your system doesn’t have a main shutoff valve, you may consider purchasing one as they are inexpensive to install and a great way to protect your investment. Those who live in colder regions will want to remove the water from pipes to keep them from freezing and bursting. There are several ways to drain pipes, including draining the valves manually and using compressed air to “blow out” the system. Since there can be some risk involved when using the “blow out” method, it’s always a good idea to wear eye protection and contact an irrigation system specialist beforehand. It’s also a good idea to insulate any aboveground pipes, valves and backflow preventers. Wrap the valve in insulation (foam insulation tape and a plastic bag). Most home supply stores sell self-sticking, foam-insulating tape and foam insulating tubes for this task. Rain/Freeze sensors prevent the irrigation system from turning on when the temperatures drop below freezing, or during a rainstorm. A sudden cold snap before the system is winterized cannot only result in damage, but also wasted water. Watering before or during freezes can create problems with lawns, shrubs and trees, as well as create ice on walkways or streets. Rain Bird’s WR2 Wireless Rain/Freeze Sensor connects to most irrigation controllers, and overrides the watering schedule when it detects rain or freezing temperatures. Once conditions improve, the system will return to normal operation. Even if temperatures do not drop below freezing during the winter, it is important that homeowners reduce the watering times and frequency during cooler temperatures. Most plants and grasses adapt to cooler temperatures and shorter days by curtailing growth, or going dormant during the winter. Scaling back watering will result in happier, healthier plants when spring arrives.